South India was the fiefdom of three major dynasties during the Sangam era (350 B.C. – 300 A.D.) The Cholas (Chennai, northern TN), Pandyas (South-central districts with Madurai as capital) and Cheras (West and entire Kerala) had a strong control over their sphere of influence and despite rivalry between them, the royalty patronised fine arts and culture in their respective kingdoms. Due to persistent war among themselves, their territorial possessions changed hands many times between these three kingdoms. Not content with ruling their home turf, these valiant kings went on maritime trade to establish contact with Egypt, Rome and Greece. 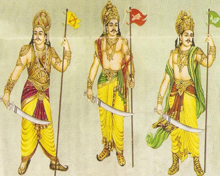 Sangam literature gives ample proofs of the sea faring capabilities of Cheras, Cholas and Pandyas who even conquered large parts of south-east Asia including Sumatra, Indonesia, Malaya and the whole of Sri Lanka. 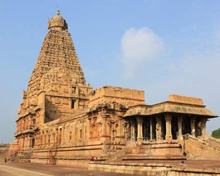 During the 6th to 9th Century A.D., the Tamil region saw long wars between the Chalukyas of Badami, the Pallavas (from Kancheepuram) and the Pandyas (Madurai) who tried to establish supremacy over each other. But at the same time, the period saw a big boost to fine arts and Hinduism flourished with patronage to temples and religious practices. The Pallava dynasty was influential during the 7th and 8th centuries for which there are testimonies in the monuments found at seashore resort Mamallapuram. The period of Cholas from 850 A.D. saw Tamil people flourishing in trade and reaching new heights in prosperity. Among them, Rajendra Chola (1014-44) was notable for his administrative skills, pursuit of fine arts and launching maritime conquests far away from homeland. By the last quarter of 13th Century, with the decline of Chola reign, the Pandyas once again rose to power in the early 14th Century. But the emergence of Pandyas was short lived as Alauddin Khilji with his large army vanquished them in early years of 14th Century. Madurai was plundered and its wealth looted by the invaders from Delhi. The invasion destroyed the Chola and Pandya dynasties and later on, led to the establishment of Bahmani Kingdom in the northern Deccan. In the middle of 14th century, the threat of Muslim invasions from the north compelled the southern dynasties to close ranks and they came under the sovereignty of Vijayanagar empire (Deccan region). 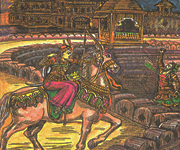 Telugu-speaking officials and high-level personalities were introduced across South India as part of the administration by the Vijayanagar rulers who had a firm control over this vast area for over 300 years. The mighty Vijayanagar empire disintegrated by 17th Century that led to the proliferation of small rulers like Nayaks in southern Tamil Nadu. During this time in 1640 the East India Company of England set up a trading post at a fishing village called Madraspatnam (now Chennai) with the permission of the local ruler. In the middle of 18th Century A.D., European powers – the British, French, Portuguese and Dutch -- fought pitched battles to establish control over pockets of South India rich in mineral resources and flourishing in trade. Finally, the British emerged victorious in the power struggle among colonisers and most of South India was integrated to be administered as the Madras Presidency by the East India Company. The British were finally victorious, while small pockets like Pondicherry and Karaikal remained under French control. Under the British rule, most of south India was integrated into the region called the Madras Presidency. After Independence, Madras Presidency was reorganised in 1956 with the division of states on linguistic basis, thereby giving birth to Andhra Pradesh, Kerala and a much bigger Karnataka with inclusion of Mysore. 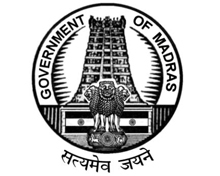 After the reorganisation of states, Madras Presidency was left with just the present state of Tamil Nadu which got its name after a prolonged agitation by Dravidian parties in 1965-1968. Regarded as the cultural capital of India due to its unique heritage and the confluence of different religions with their followers living in harmony, the state of Tamil Nadu strikes a perfect balance between modernity and tradition; conservatism and liberal thinking; and conventional lifestyle and flamboyant living. This is the only state where cinema has played a critical role in reshaping politics as most the top political leaders including the present and past chief ministers have been the product of dream factory. But for a clear understanding of the current socio-political system in Tamil Nadu, one has to go back to 1925-30s when the Self-Respect Movement started by social activist E.V.Ramasamy, more popular as Periyar, created a storm in the minds of Tamil masses, sowing the seeds of societal transformation. According to Periyar, neither political freedom nor revival of Hinduism to its sublime glory will ensure the self-respect of individuals, notably the backward and oppressed classes in the society. To realise social equality, he preached the abolition of caste system which plagued Tamil society which in the Pre-Independence era. The Periyar followers went on an anti-Brahmin crusade as they were of the opinion that latter was the main culprit in denying equal rights to the backward classes. From late 1920s self-respect marriages were organised in which the ceremony was held without a Brahmin priest and there was no exchange of dowry. 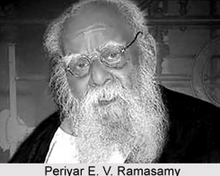 Moreover, Periyarism aimed to distance Tamils from all the religious practices of Hinduism as this ethnic group traced their lineage to Sangam period (300 B.C) which had its own customs and lifestyle edicts. When DMK came to power in 1967 on a massive Dravidian wave, its founder and strong Periyar follower C.N. Annadurai took charge as chief minister and ushered in many seminal changes in governance that verily transformed the socio-political landscape of Tamil Nadu. 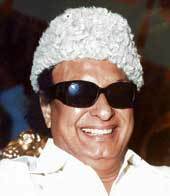 It was left to the present DMK chief M. Karunanidhi – who took over as CM in 1969 – to follow the ideals of his two gurus – Periyar and Anna – and made all efforts to make the state an egalitarian society which resulted in the disappearance of with caste-based discrimination. Tamil Nadu was the first state in the country to provide reservation to backward classes, SCs/ST in jobs and educational institutions much before Mandal recommendations. Following the footsteps of Dravidian leaders, matinee icon M.G. 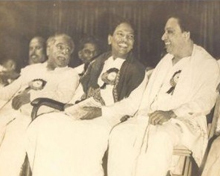 Ramchandran’s charisma and outreach initiatives touched the hearts of millions of Tamils. His party AIADMK, an offshoot of DMK, did not drum up the issue of casteism and never took the violent path to enforce their social objectives. The current AIADMK supremo and CM Jayalalithaa owes her political birth to her mentor MGR back in the 1980s and Tamil Nadu has become one of the most progressive states In the country thanks to her bold vision and path-breaking decisions that altered the social, cultural and political equations for the betterment of common man. Whether it is industrial growth, attracting skilled manpower, wooing foreign investors or making the state a manufacturing hub for specific verticals of the economy, there has been a proactive approach with the Chief Minister taking up the mentoring role in each and every one of them. Apart from the cultural tag, Tamil Nadu has scored over other southern states in terms of sustained growth in IT sector, manufacturing, higher education and local self-governance. In terms of social indices like health, literacy and higher education, TN has exceeded the national average and inching towards the status of a developed state comparable to European standards.